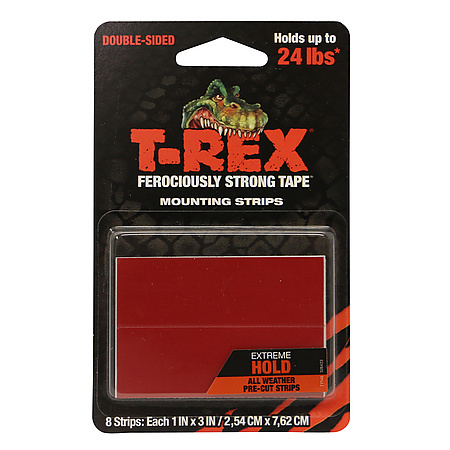 T-REX Ferociously Strong Mounting Tape is a black, double-sided tape that provides a quick alternative to nails, screws, staples, or glue. 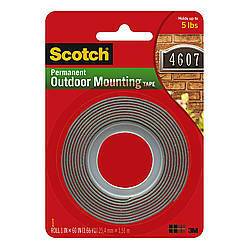 This heavy-duty mounting tape works on a variety of surfaces in all-season weather conditions. 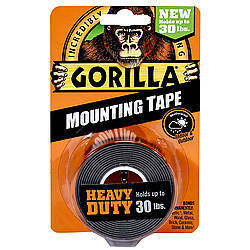 Perfect for indoor and outdoor DIY projects or anywhere you need durability and reliability. 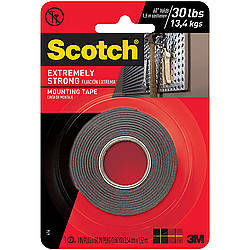 Securely mount decorations, mailboxes, lights, house numbers, and much more with the all-weather, UV resistant performance of TREX Ferociously Strong Mounting Tape. 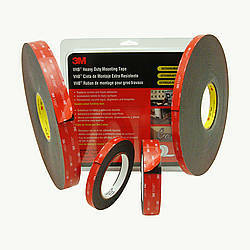 The double-sided permanent adhesive is designed to withstand high temperatures for year-long staying power. 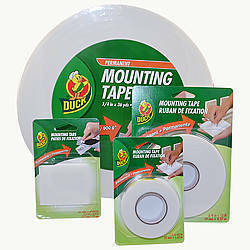 The mounting tape holds best to hard, solid surfaces such as metal, glass, wood, concrete, brick, tile, and ceramic. Made in the U.S.
For best results: Make sure that surfaces are clean, dry and free of moisture before applying. 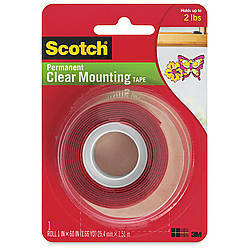 Apply firm pressure to double-sided tape to enable the strong adhesive bond with surfaces. 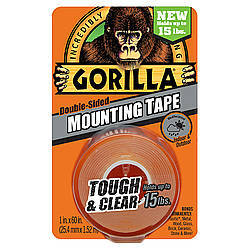 T-Rex Mounting Tape adhesive will build over time, achieving full strength after a 24 hour period. 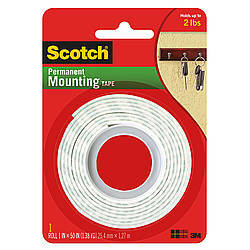 Please note that this product will not stick to all grades of plastic, including polyethylene and polypropylene plastics.